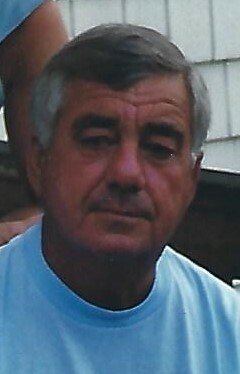 Robert G. “Junior” Noonan, of Cohasset, passed away peacefully January 12, 2019 surrounded by his loving family and friends following a brief and courageous battle with Pancreatic Cancer. Born in Nashville, TN, Robert was the oldest of four children. He was preceded in death by his parents Robert M. Noonan and Dorothy W. Noonan, his beloved sister Brenda Malone and an older brother who died at birth. Robert is survived by his brother, former Cohasset Police Chief Brian Noonan and his wife Jackie of Cohasset, his loving sister Anne Bunstein of Hull and many nieces and nephews and great nieces and great-nephews all of whom he devoted his life to. Family and friends will gather to celebrate Bobby’s life on Friday, January 18, 2019 from 1-3 pm followed by a prayer service at 3 pm in McNamara-Sparrell Funeral Home, 160 So Main St. (across from St. Anthony Church), Cohasset, MA. 02025. Interment Private. In lieu of flowers, donations to honor Bobby may be made to the Hospice of the South Shore, 30 Reservoir Park Drive, Rockland, MA. 02370.